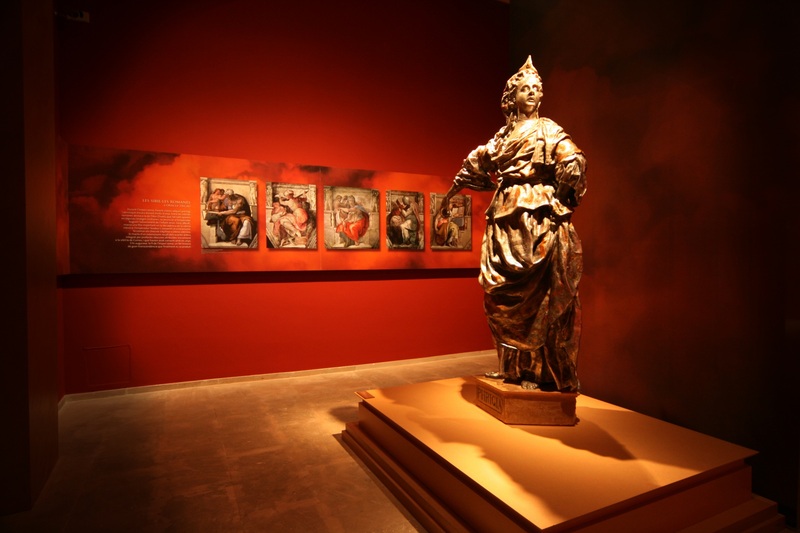 This exhibition delves into the history of the sybillic tradition, from the origins of the figure of the Sibyl in classical mythology to the Christmas tradition of performing The Song of the Sibyl in Mallorca and other places. The Sibyl is a figure from pagan mythology adopted by Christianity around the end of the first millennium, as a predictor of the Apocalypse. 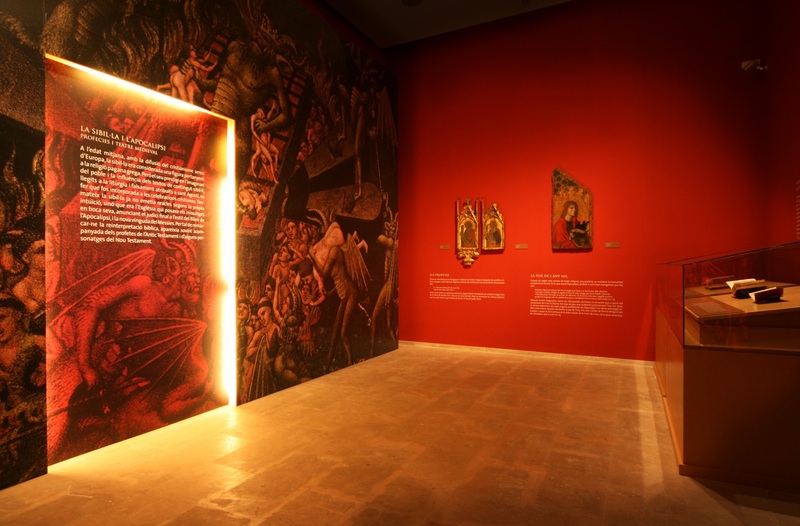 This exhibition was designed to include very few pieces, since the performance of The Song of the Sibyl in Mallorca has been declared Intangible Cultural Heritage. There were very few images, and the existing video recordings were of poor quality. So we worked with some sculptures from an altarpiece, representations of the Sibyl, and the scarce audio-visual material. 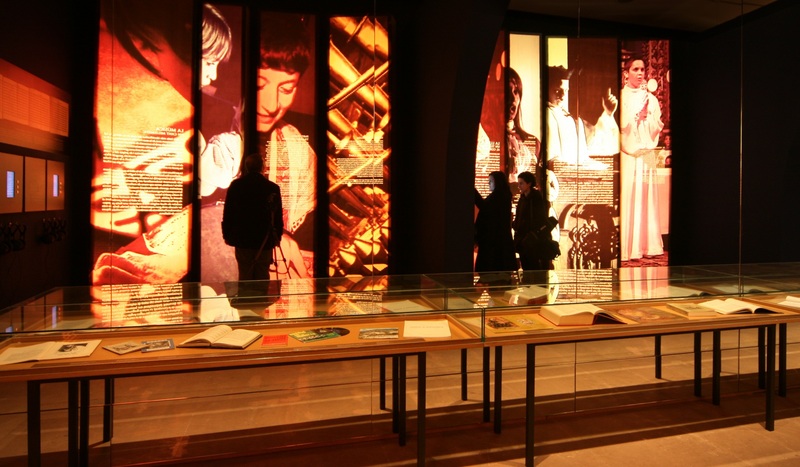 As a result, the tools for the resolution of this museography are again scenographic. 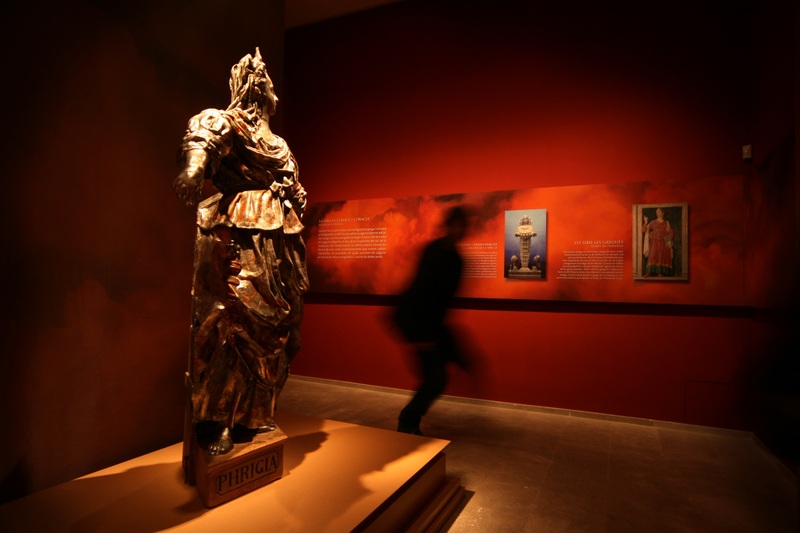 The exhibition was accessed through a stage space with a backdrop depicting red clouds, symbolizing the announcement of the Apocalypse sung by the Sibyl. From the entrance, we could see the back of the sculpture, unrecognizable from this perspective since it was in very poor condition, as a mysterious presence. From its position, the sculpture faced the entrance to hell, which was in the next room. 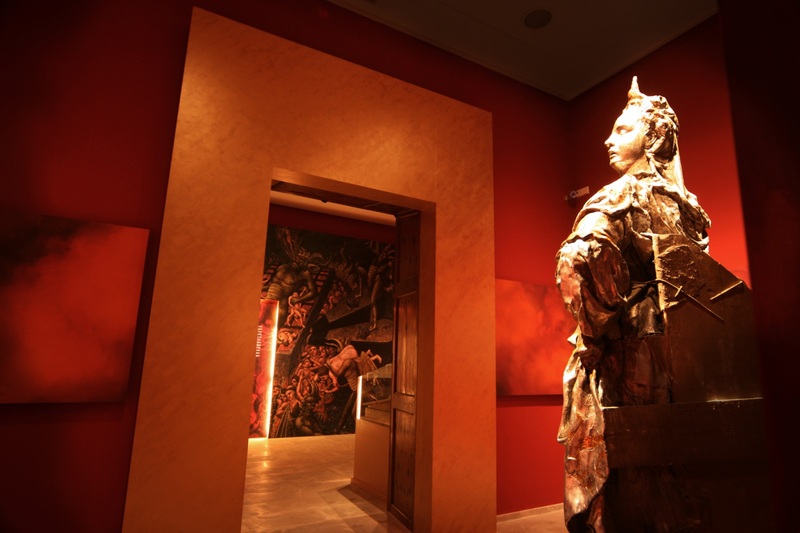 Around the sculpture, a burgundy coloured room was the backdrop for a frieze that told the story of this mythological character. Eventually the year 1000 arrived, and there was no Apocalypse. However, but the song of the Sibyl continued to ring out through the centuries, in popular culture and in literature and philosophy, as was demonstrated in the following rooms. The final space is dedicated to the analysis of how the Song is performed. 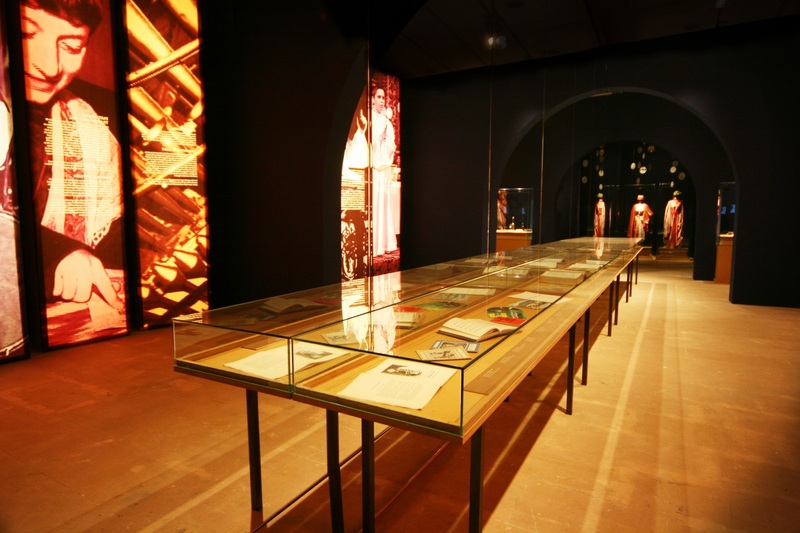 This space is perhaps the most elaborate of the entire exhibition. Using a set of mirrors, we created a series of arches using the illusion of perspective and reflecting the space to simulate the nave of a church. 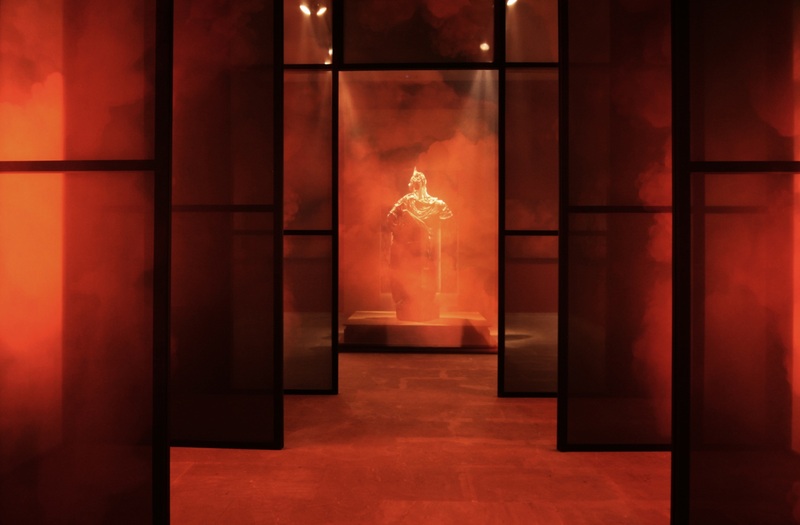 The side chapels held lit display cases decorated with video stills from the performance, altered to look like stained glass. 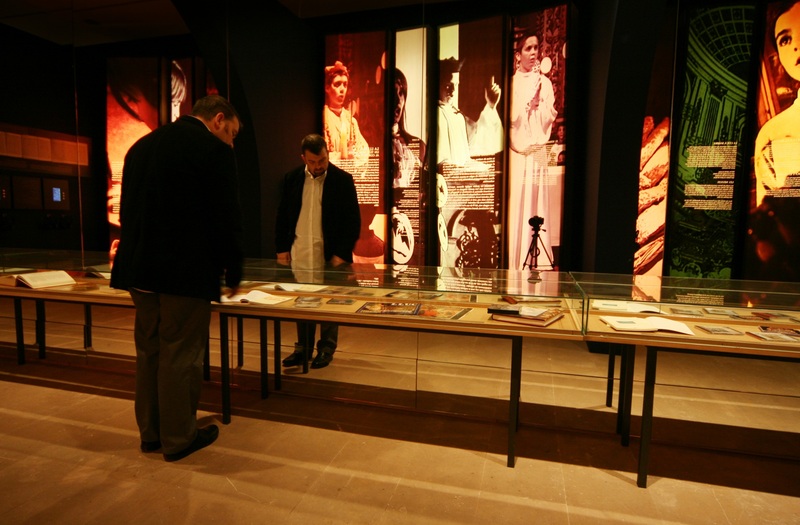 They contain objects that people used to clarify their voices, and other objects from this thousand-year-old ritual. 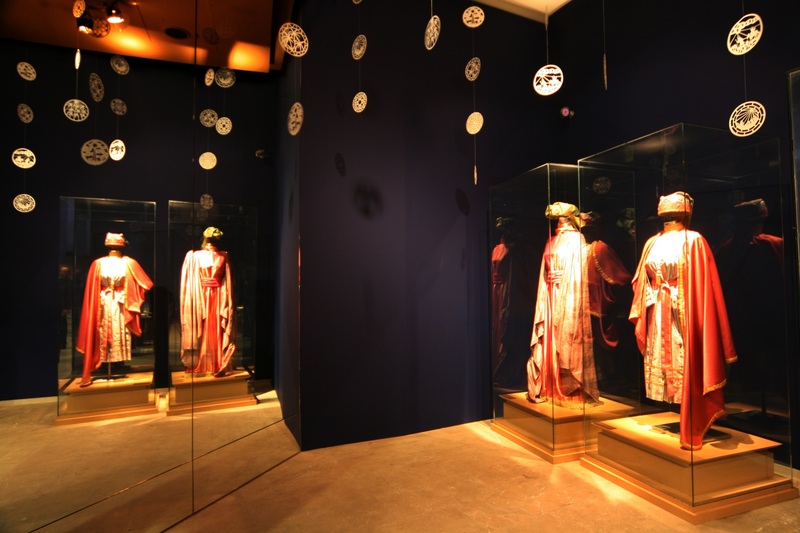 At the end of the room we find a new image divided by a mirror: two set of authentic of costumes used in the performance of the Song, which add the finishing touches to the exhibition.